This article originally appeared on the Daily Capitalist. YOU KNOW THOSE MOVIES WITH THE BOMB SET TO A TIMER ticking down to 00.00 where the sweaty hero nervously cuts one wire at a time while holding his breath and then at 00.01 he stops the bomb? Well, Europe is like that except that the bomb goes off and kills everyone. Our planet has a problem. Its leading economies, the U.S., Japan, and the E.U. are declining. That is, about one-sixth of the world’s population is losing ground. These big economies are the ones that lead the rest of the world, including China. Countries like China, India, and Brazil, depend on the health of the big economies to keep buying their products and commodities so they can grow and generate wealth for their citizens. What is especially concerning is the blow-up that is about to happen in Europe. It is not something that is happening “over there.” In a world that is so interconnected financially and by trade, a sinking Europe is everyone’s concern. Their problems are much the same as ours with a twist. Their governments and central banks have also pursued reckless monetary and fiscal policies and now, effect is following cause. They have more or less followed the same policies as has the U.S., much to the same end. They spent large, engaged in Keynesian fiscal stimulus in a bailout attempt, ran up huge debts and deficits, and their economies are in decline. The twist is the European Monetary Union (EMU), known as the eurozone. It is as if here in the U.S. there was no federal government and each state was truly sovereign, but there was a Federal Reserve Bank. Some states spend more than others, funding deficits by borrowing huge sums to support programs their citizens wanted. The profligate states want the Fed to buy their debt and float them loans created out of thin air, or otherwise they will go belly up and they will take down many states’ banks. The responsible states know they will be stuck with the bill. The EMU started on the idea that it would bind the EU closer. In essence it was a political decision rather than an economic decision. They passed a stern rule that said no state could run of deficits of more than 3% of their GDP. Except for Estonia, Finland, and Luxembourg, all countries, including Germany, now exceed the limit. Thus their politicians sacrificed fiscal probity for political gains. They have hit the wall: Greece will soon default on their sovereign debt. On Tuesday, yields on one year Greek bills reached 60%. It is a sign that investors have no faith in the Greek government’s ability to repay their debt. The EU, ECB, and the IMF are trying to establish a European Financial Stability Facility (EFSB) in order to further bail Greece out. They have already pledged €110 billion and they are trying to put another package together of €109 billion. But Finland insists that Greece puts up additional collateral, which is not possible. Since the collateral would be part of the bailout money, it would be, in essence, Germany and France guaranteeing Finland’s contribution. 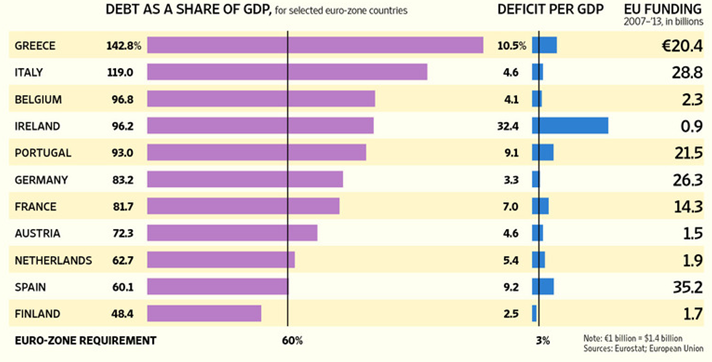 Greece has missed every fiscal target it or its saviors has had. They are trying to get their deficit down to 7.6% of GDP through more austerity measures, but it looks like they will miss again (est. 8.5+%). Basically they are asking the Greeks to do something they don’t want to do, and they will no doubt take to the streets again in protest. If they default, then that opens a can of worms. European banks, other than Greek banks, hold €46 billion of Greek sovereign debt. Belgium’s Dexia hold Greek sovereign debt equal to 39% of its equity; for Germany’s Commerzbank, it’s about 27%. On top of that, EU banks are into private Greek companies for about €94B (France, €40B; Germany €24B). According to the Wall Street Journal, the total market cap of all EU banks was just €240. The same article also points out additional unknown liabilities to insurers and investment banks. The International Accounting Standards Board (IASB) has warned banks they need to write down, or mark-to-market, the Greek debt they hold. Whether they do or don’t doesn’t matter. The fact is that these banks are undercapitalized and in trouble. Their “stress tests” are a fiction. Liquidity is starting to shrink in their banking system because of these jitters. Rabobank, for example, said it is growing cautious about interbank lending – now limited to overnight loans. More banks are stepping up to the ECB window for funds. Overall, credit is starting to tighten. 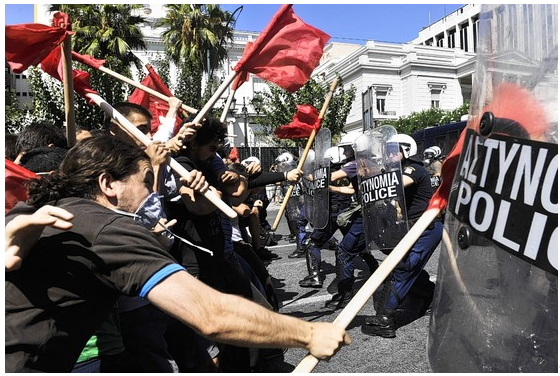 Nervous Greek depositors are withdrawing funds from their banks. Rich Greeks never trusted their banks. In other words the Europeans have created a problem that they can’t solve, easily at least. 1. Keep bailing out Greece, with the specter of Italy and Spain being the next target of market forces as EU economies cool off. This is not appealing to Germany and France who know their taxpayers will have to put up most of the money. From the very beginning we knew that the Federal Reserve’s QE program was going to cause the cost of food to rise and the dollar to decline in value, and that these intended results would lead to an increase in poverty and civil unrest. Are food prices approaching a violent tipping point? A provocative new study suggests the timing of the Arab uprisings is linked to global food price spikes, and that prices will soon permanently be above the level which sparks conflicts. There is a specific food price level above which riots and unrest become far more likely. That figure is 210 on the UN FAO’s price index: the index is currently at 234, due to the most recent spike in prices which started in the middle of 2010 [coinciding with QE2]. Lastly, the researchers argue that current underlying food price trends – excluding the spikes – mean the index will be permanently over the 210 threshold within a year or two. The paper concludes: “The current [food price] problem transcends the specific national political crises to represent a global concern about vulnerable populations and social order.” Big trouble, in other words. The next part of the study identifies that the serious unrest in North Africa and the Middle East also correlates very closely with [the QE2] food price spike. Bar-Yam also notes: “Several of the initial riots in North Africa were identified in news stories as food riots.” From there, the researchers make their prediction of permanently passing the 210 threshold in 12-24 months. Changes in the global climate that cut food production triggered one-fifth of civil conflicts between 1950 and 2004. Cyclical climatic changes double the risk of civil wars, with analysis showing that 50 of 250 conflicts between 1950 and 2004 were triggered by the El Niño cycle, according to scientists. El Niño brings hot and dry conditions to tropical nations and cuts food production, to outbreaks of violence in countries from southern Sudan to Indonesia and Peru. As Federal Reserve Chairman Ben Bernanke announced another round of Quantitative Easing (QE2), those of us paying attention knew that the trigger had been pulled and Step Three had been executed. It was a declaration of economic war, an economic death sentence for tens of millions of people – deliberately devaluing the dollar and sparking inflation in commodities/basic necessities. It was a vicious policy that would impact people from Boston to Cairo. To be clear, there are several significant factors contributing to rising food prices, such as extreme weather conditions, biofuel production and Wall Street speculation; but the Federal Reserve’s policies deliberately threw gasoline all over those brush fires. QE2 was another economic napalm bomb from the global banking cartel. The people throughout the Middle East and Northern Africa, on the fringe of the Neo-Liberal economic empire and most vulnerable to the Fed’s inflationary policies, are the first to rebel. 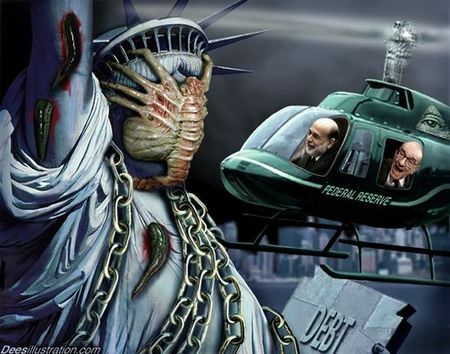 The conclusion that we reach, the unfortunate reality of our current crisis: the Federal Reserve and global economic central planners have declared war on us. We are under attack. We must remove Ben Bernanke from power and hold him and the rest of the global banking cartel accountable. We must also break up the “too big to fail” banks. This a message I, along with many others who have analyzed our economic situation, have been repeating over and over for the past three years. Hopefully, a critical mass of people will soon understand this reality and back it up with non-violent civil disobedience before riots and violence rip our society apart. For these reasons, let’s all go to Wall Street on September 17th and show these tyrants that we’ve had enough. While Barack Obama vacations on Martha’s Vineyard this week he’ll be thinking about his grand vision to save America – again. There is one thing you can say about Obama – he’s predictable. He promises to unveil his “new” plan for America in early September. The White House said Obama will give a speech after the September 5 Labor Day holiday to outline measures to boost hiring and find budget savings that surpass the $1.5 trillion goal of a new congressional deficit-cutting committee. It is heartening to see that Barack has turned into a cost cutter extraordinaire. He should be an inspiration to the Tea Party, except for one little problem. The plan he unveils in a few weeks will increase spending now and fret about spending cuts at some future unspecified date. I can reveal his plan today because the White House has already leaked the major aspects of his plan. He will call for an extension of the Social Security payroll tax cut of 2% for all working Americans. This was supposed to give a dramatic boost to GDP in 2011. Maybe it will work next time. He will demand that extended unemployment benefits be renewed. Somehow providing 99 weeks of unemployment benefits is supposed to create jobs. It’s done wonders thus far. He will propose some semblance of an infrastructure bank or tax cuts to spur infrastructure spending. It will include a proposal for training and education to help unemployed people switch careers. He will attempt to steal the thunder from the SUPER COMMITTEE of twelve by coming up with $2 trillion of budget savings by insisting the Lear jet flying rich fork over an extra $500 billion. You may have noticed that followers of Keynesian dogma like Paul Krugman, Larry Summers, Brad Delong, Richard Koo, John Galbraith, every Democrat in Congress, and every liberal pundit and columnist have been shrieking about the Tea Party terrorists and their ghastly budget cuts that are destroying our economy. They contend the stock market is tanking and the economy is heading into recession due to the brutal austerity measures being imposed by the extremists in the Republican Party. There is just one small issue with their argument. It is completely false. It is a bold faced lie. This is 2011. The economy has been in freefall since January 1. No spending cuts have occurred. Nada!!! As the CBO chart below reveals, the horrendous slashing of government will amount to $21 billion in 2012 and $42 billion in 2013. Of course, those aren’t even cuts in spending. They are reductions in the projected increases in spending. Politicians must be very secure in the knowledge that Americans are completely ignorant when it comes to anything other than the details of Kim Kardashian’s wedding and who Snooki is banging on Jersey Shore. I’d like to remind the Harvard educated Keynesian economists that Federal government spending is currently chiming in at $3.8 trillion per year. Federal spending was $2.7 trillion in 2007 and $3.0 trillion in 2008. Keynesians believe government spending fills the gap when private companies are contracting. 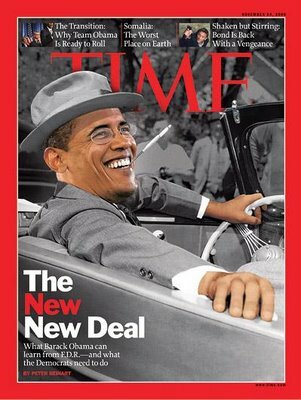 Obama has taken Keynesianism to a new level. Federal spending will total $10.8 trillion in Obama’s first three years, versus $8.4 trillion in the previous three years. Even a Harvard economist can figure out this is a 29% increase in Federal spending. What has it accomplished? We are back in recession, unemployment is rising, forty six million Americans are on food stamps, food and energy prices are soaring, and the middle class is being annihilated. The standard Keynesian response is we would have lost 3 million more jobs, we were saved from a 2nd Great Depression and the stimulus was too little. It would have worked if it had just been twice as large. The 2nd Great Depression was not avoided, it was delayed. Our two decade long delusional credit boom could have been voluntarily abandoned in 2008. The banks at fault could have been liquidated in an orderly bankruptcy with stockholders and bondholders accepting the consequences of their foolishness. Unemployment would have soared to 12%, GDP would have collapsed, and the stock market would have fallen to 5,000. The bad debt would have been flushed from the system. Instead our Wall Street beholden leaders chose to save their banker friends, cover-up the bad debt, shift private debt to taxpayer debt, print trillions of new dollars in an effort to inflate away the debt, and implemented every wacky Keynesian stimulus idea Larry Summers could dream up. These strokes of genius have failed miserably. Bernanke, Paulson, Geithner and Obama have set in motion a series of events that will ultimately lead to a catastrophic currency collapse. We have entered the second phase of the Greater Depression and there are no monetary or fiscal bullets left in the gun. Further expansion of debt will lead to a hyperinflationary collapse as the remaining confidence in the U.S. dollar is exhausted. We are one failed Treasury auction away from a currency crisis. 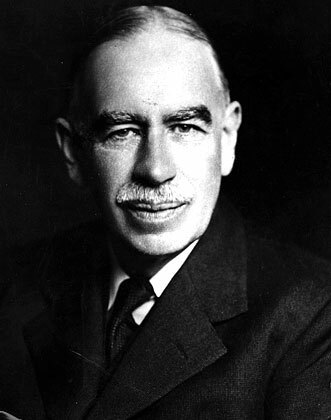 John Maynard Keynes argued the solution to the Great Depression was to stimulate the economy through some combination of two approaches: a reduction in interest rates and government investment in infrastructure. Investment by government injects income, which results in more spending in the general economy, which in turn stimulates more production and investment involving still more income and spending and so forth. The initial stimulation starts a cascade of events, whose total increase in economic activity is a multiple of the original investment. It sounds so good in theory, but it didn’t work in the Depression and it hasn’t worked today. It is a doctrine taught in every business school in America with no actual results to support it. Who needs facts and actual results when a good story believed and perpetuated by non-thinking pundits will do? Every Keynesian play in the playbook has been used since 2008. The American people were told by Obama and his Keynesian trained advisors that if we implemented his $862 billion shovel ready stimulus package, unemployment would peak at 7.9% and would decline to 6.5% by today. The cascade of recovery was going to be jump started by a stimulus package that equaled 27% of the previous year’s entire spending. Obama’s complete package was implemented. The outcome was an eye opener. I AM BEGINNING TO FEEL A BIT LIKE ONE OF THE FRENCH unfortunates stumbling through the fog in the Ardennes, circa 1914. Except that, instead of Germans full of deadly intent coming at me in the gloomy forest, it is a flock of black swans. As it was for the French in the Ardennes, the number of problems – then Germans, now black swans – is becoming overwhelming. The Euro-Stone. Despite all the bailouts and bluster flying about Europe, the yields in the wounded “piiglets” of Greece, Portugal, etc. have failed to soften to more tolerable levels. Worse, yields in the fatter PIIGS of Spain and Italy are hardening. This is of no small import to the German and French banks, which together are owed something like US$2 trillion by the porkers. At this point, it is becoming clear that the eurozone’s systematic flaws doom the euro to continue trending down until it ultimately takes its place in the pantheon of failed monies. The Yen Has Lost Its Zen. This week the Japanese government again began intervening in currency markets because, remarkably, the yen has been pushed to highs against the dollar. This in a nation with a government debt-to-GDP ratio that is better than twice the also horrible ratio sported by these United States. That ratio ensures that Japan’s long struggles will continue, burdened as it also is with the aftermath of the deadly tsunamis and the ongoing drama at Fukushima. Adding to its woes are the commercial challenges it faces from aggressive neighbors, and maybe worst of all, the demographic glue trap it is stuck in, with fewer and fewer young to pick up the social costs of the old. Toss in the waterfall plunge in Japan’s much-vaunted savings rate – formerly a big prop keeping Japanese interest rates down – and the picture for Japan is anything but tranquil. China’s Crucible. There are many reasons for being optimistic about the outlook for China, including a large and hard-working populace. But there is one overriding reason to expect a big bump in the path to China’s emergence as the world’s reigning economic powerhouse. Simply, it’s a capitalistic country with a communist problem. Now, in the same way that some people believe in leprechauns or any of dozens of other magical beings, some people believe that an economy can be successfully commanded just as a captain commands the crew of a Chinese junk cruising along the coast. It’s a fantasy. While the comrades in charge have done quite well – largely by getting out of the way of natural human actions – they are fast reaching the limits of their ability to navigate the shoals. As I don’t need to tell you, China is a massive country, with hundreds of millions of people capable of every manner of human strengths and frailties. But if they share one interest, it is in a job that allows them to keep their rice bowls full and a roof over their heads. Said jobs don’t come from government dictate – at least not on a sustainable basis – but rather by the messy process of free-wheeling commerce… and the more free-wheeling, the better. In the July edition of The Casey Report, guest contributor James Quinn discusses the very real challenges facing China, not the least of which is that in the latest reporting period, official Chinese inflation popped up to 6.4%. Even more concerning was a 14% rise in the price of food. Scrambling to keep employment high while also keeping inflation low, the Chinese government is throwing all sorts of ingredients into the mix – building ghost cities, raising interest rates, stockpiling commodities, clamping down on dissent, hacking everyone – but in the end, the irrefutable laws of economics must prevail. And so the Chinese government will have to atone for the massive inflation it unleashed in 2008, and for the equally disruptive misallocations of capital that are the hallmark of command economies. While the blowup in China will wreak havoc in world markets, including many commodities, a bright side for gold investors is that the country’s rising inflation should help keep the wind in the sails of monetary metal. It’s no coincidence that the World Gold Council’s latest data show investment demand for gold in China more than doubling in the first quarter of this year. Uncle Scam. Then there is the United States. Casey Research readers of any duration know the fundamental setup… The political avarice that dominates both parties… The fear and greed of John Q. Public and his steady demands that the government do more… The scam being run by the Treasury and the Fed to provide the funny money to keep the government running… The cynical attempts by certain politicians to stoke a class war… The cellars full of toxic paper at the nation’s financial institutions… The outright corruption and deceit of the various government agencies as they twist and torture the data to fool the people into supporting them in their scams. But there’s a growing problem: An increasing number of people and institutions are coming to understand just how intractable the problems are. This has resulted in a steady move into tangible assets – gold, especially – that are not the obligation of any government. And it’s not just individuals and money managers moving into gold, but central banks as well. That is an absolute sea change from the situation even a few years ago. Meanwhile, with the Treasury unable to borrow since May, a backlog in government financing needs has built up. Which begs the question: With the Fed standing aside (for the moment), where is the government going to find all the buyers for the many billions of dollars worth of Treasuries it needs to flog in order to keep the scam going? If I were a conspiracy theorist, I might look at the sell-off in equities this week, triggered as it was by nothing specific, and see a gloved hand operating behind the curtain. After all, nothing like a good old-fashioned stampede out of equities to send billions chasing after “safe” Treasuries… which has been exactly the case this week. Regardless, with the crossroads for hard choices now behind us, the global economy finds itself at the top of a long hill… with no brakes. From here on, it will increasingly be every nation for itself – meaning a return to competitive currency devaluations and, in time, exchange and even trade controls. And we will see a return of the Fed to the markets. On that topic, I will once again trot out a chart from an article by Bud Conrad that ran in The Casey Report a couple of years back. I do so because it shows what I think is a very strong corollary between what occurred in Japan after its financial bubble burst and what is now going on here in the U.S. (and elsewhere). As you can see, as a direct result of the Japanese central bank engaging in quantitative easing, the Japanese stock market bounced back strongly. But then, when the quantitative easing stopped, the market quickly gave back all its gains. ALTERNATIVE ECONOMIC ANALYSIS BRINGS WITH IT A CERTAIN NUMBER of advantages and insights, but also many uncomfortable burdens. Honest financial research is a discipline. It requires us to not only understand the fundamentals, but to question the fundamentals. It requires us to look beyond what we would LIKE to see in the economy, and accept the reality of what is actually there. With this methodology comes the difficulty of knowing the dangers ahead while the mainstream stumbles about well behind the curve. It means constantly having to qualify one’s conclusions, no matter how factual, because the skeptics and opposition base their views on an entirely different set of rules; farcical rules that no longer (or never did) apply to the true state of our country’s fiscal health. Where are the spending cuts? In it, Joe Nocera, a typically impotent mainstream financial hack, proceeds to outline the debt deal snafu in grade school fashion, claiming not only that cuts in spending attributed to the bill will destroy our fragile economy, but that all the blame for this destruction rests squarely on the shoulders of Tea Party Republicans, who are apparently no better than “terrorists”. Yes, that’s right, fiscal conservatives are now terrorists hell bent on our nation’s demise. Gee…we didn’t see that one coming. While I am not particularly happy with the direction the Tea Party has taken since 2010, especially the constant attempts by Neo Conservatives (fake conservatives) to co-opt the movement, the Tea Party is hardly to blame for any destabilization of the economy, if for no other reason than they accomplished nothing in the deal. Nocera’s idiocy is made embarrassingly apparent in his outcries against spending cuts, because NO cuts were actually made. First, the $2 trillion plus compromise we hear about so often is slated to take place not over the next ten months, but the next ten years! Only $917 billion in cuts are officially mandated by the bill. The final $1.5 trillion will be voted upon at a later date. Only $21 billion in cuts will be applied to discretionary spending in 2012, $42 billion in 2013, and the remaining cuts after 2014. This strategy, by itself, is wholly inadequate in making even the slightest dent in our national debt, being that our government’s spending has grown exponentially with each passing year. 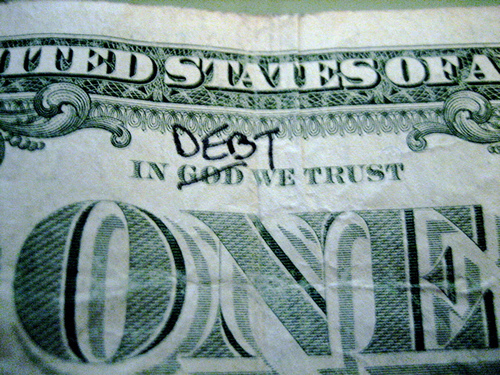 In June of 2009, our national debt stood at $11.5 Trillion. Today, it climbs past $14.5 trillion. That’s an increase of $3 trillion in the span of two years. Now, I don’t know where men like Boehner, Reid, or Obama, learned simple math, but I can tell you their numbers don’t add up. Even if current spending levels stay static (which they won’t), by 2013, we will have to increase the national debt to at least $17.5 trillion, while only cutting $63 billion from the budget. Wow….sounds like progress to me. Even worse (yes, it gets worse), the spending cuts that were finalized are based not on current spending, but on PROJECTED spending, or what is often called “the baseline”. That means, essentially, that no existing programs or subsidies are specifically facing cuts, only programs and subsidies that have yet to be created! So, Obama could ostensibly forgo an extra $2 million taxpayer subsidized vacation to Hawaii or Manila, and then claim this as a “spending cut”. Imagine it! We could save so much money as a country by not buying all the things we could have bought beyond what we already buy! Huh? RESOLUTION OF THE IMMEDIATE DEBT CEILING CRISIS in the US came with the expected and predicted raising of the ceiling from about $14 trillion to $17 trillion, but it also came with announced plans for seemingly strident austerity measures to cut the deficit. The situation could not be more contradictory – they raise the debt ceiling to accommodate the results of their prior profligacy and then talk about reining in spending! No wonder the markets gave the whole package a massive thumbs down yesterday. It’s too late, way too late, to put the brakes on spending and any attempt to do so will result in the already fragile economy collapsing into depression. They can’t have it both ways – they raise the debt ceiling so that they can continue to pay their own salaries and the miserable interest on their intrinsically worthless Treasury paper, and at the same time plan to impose more austerity on the American middle and lower classes – the result of this will be a hyperinflationary depression, as broke consumers are known to be bad for corporate profits. THIS is why the stockmarket caved in yesterday. I’ll be honest – I’d figured out, as you know, that they would raise the debt ceiling, after a few weeks of showmanship, but never thought they’d be mad enough to try imposing austerity at this late stage – they should have used this medicine years ago when the patient had a chance of surviving, if they go ahead and do what they say they will it will kill the patient, the US economy, stone dead. We can, therefore, only come to one conclusion, which is that all this talk about austerity measures and cuts etc is humbug – a lot of hot air designed to make it look like they are making an earnest attempt to get a handle on the central problem of the runaway debt – and that any measures tabled to deal with it will later be rescinded or plain forgotten – they got what they really wanted which was a blank check to carry on spending with no limit. 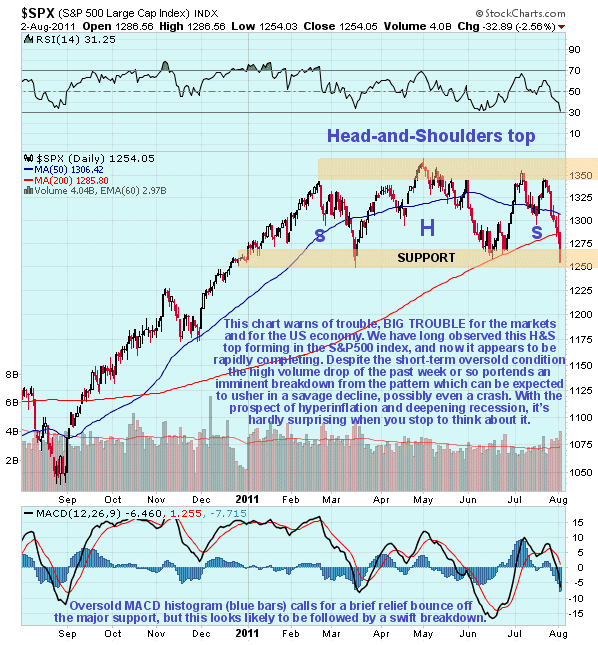 Our chart for the US S&P500 index shows that yesterday’s plunge has brought us to the cusp of a catastrophic breakdown, for if the support at the bottom of the potential Head-and-Shoulders top fails, and the heavy volume driving the decline of the past week suggests that it may, it will usher in a brutal bearmarket decline, and given the now dire fundamentals, possibly a crash. The heavily oversold MACD histogram shown at the bottom of the chart calls for a brief bounce, after which it’s a case of “look out below”. There is some chance that the market will recover from here, but only if it dawns on market participants in time that all the talk about cuts and fiscal prudence is bluff and bluster for the benefit of the media. Investors should take appropriate steps to protect themselves, which may include the use of bear ETFs and/or Put options. Unlike in 2008 it is thought likely that gold and silver and some other commodities will soar, even in the event of a market meltdown, as Europe and the United States fall apart economically going forward – we could very easily see a situation where they go parabolic, and from the look of the gold chart that process may have started just yesterday. ONLY NOW, AFTER THREE YEARS OF ROLLER COASTER MARKETS, EPIC DEBATES, and gnashing of teeth, are mainstream financial pundits finally starting to get it. At least some of them, anyway. Precious metals have continued to perform relentlessly since 2008, crushing all naysayer predictions and defying all the musings of so called “experts”, while at the same time maintaining and protecting the investment savings of those people smart enough to jump on the train while prices were at historic lows (historic as in ‘the past 5000 years’). Alternative analysts have pleaded with the public to take measures to secure their hard earned wealth by apportioning at least a small amount into physical gold and silver. Some economists, though, were silly enough to overlook this obvious strategy. Who can forget, for instance, Paul Krugman’s hilarious assertion back in 2009 that gold values reflect nothing of the overall market, and that rising gold prices were caused in large part by the devious plans of Glen Beck, and not legitimate demand resulting from oncoming economic collapse. To this day, with gold at $1600 an ounce, Krugman refuses to apologize for his nonsense. To be fair to Krugman, though, his lack of insight on precious metals markets is most likely deliberate, and not due to stupidity, being that he has long been a lapdog of central banks and a rabid supporter of the great Keynesian con. [And he a Nobel Prize winner!] Some MSM economists are simply ignorant, while others are quite aware of the battle between fiat and gold, and have chosen to support the banking elites in their endeavors to dissuade the masses from ever seeking out an alternative to their fraudulent paper. The establishment controlled Washington Post made this clear with its vapid insinuation in 2010 that Ron Paul’s support of a new gold standard is purely motivated by his desire to increase the value of his personal gold holdings, and not because of his concern over the Federal Reserve’s destructive devaluing of the dollar! So, if a public figure owns gold and supports the adaptation of precious metals to stave off dollar implosion, he is just trying to “artificially drive up his own profits”. If he supports precious metals but doesn’t own any, then he is “afraid to put his money where his mouth is”. The argument is an erroneous trap, not to mention, completely illogical. Numerous MSM pundits have continued to call a top for gold and silver markets only to be jolted over and over by further rapid spikes. Frankly, it’s getting a little embarrassing for them. All analysts are wrong sometimes, but these analysts are wrong ALL the time. And, Americans are starting to notice. Who beyond a thin readership of mindless yuppies actually takes Krugman seriously anymore? It’s getting harder and harder to find fans of his brand of snake oil. If average Americans weren’t feeling the heat at the beginning of this year in terms of the economy, they certainly are now. Not long ago, the very idea of a U.S. debt default or credit downgrade was considered by many to be absurd. Today, every financial radio and television show in the country is obsessed with the possibility. Not surprisingly, unprepared subsections of the public (even conservatives) are crying out for a debt ceiling increase, while simultaneously turning up their noses at tax increases, hoping that we can kick the can just a little further down the road of fiscal Armageddon. The delusion that we can coast through this crisis unscathed is still pervasive. What these people are lacking is a basic understanding of the bigger picture. Ultimately, this debate is not about raising or freezing the debt ceiling. This debate is not about saving our economy or our global credit standing. This debate is about choosing our method of poison, and nothing more. That is to say, the outcome of the current “political clash” is irrelevant. Our economy was set on the final leg of total destabilization back in 2008, and no amount of spending reform, higher taxes, or austerity measures, are going to change that eventuality. We have two paths left as far as the mainstream economy is concerned; default leading to dollar devaluation, or, dollar devaluation leading to default. That’s it folks! Smoke em’ if you got em’! This train went careening off a cliff a long time ago. If the U.S. defaults after August 2, a couple of things will happen. First, our Treasury Bonds will immediately come into question. We may, like Greece, drag out the situation and fool some international investors into thinking the risk will lead to a considerable payout when “everything goes back to normal”. However, those who continued to hold Greek bonds up until that country’s official announcement of default know that holding the debt of a country with disintegrating credit standing is for suckers. Private creditors in Greek debt stand to lose at minimum 21% of their original holdings because of default. What some of us call a “21% haircut”. With the pervasiveness of U.S. bonds around the globe, a similar default deal could lead to trillions of dollars in losses for holders. This threat will result in the immediate push towards an international treasury dump. Next, austerity measures WILL be instituted, while taxes WILL be raised considerably, and quickly. The federal government is not going to shut down. They will instead bleed the American people dry of all remaining savings in order to continue functioning, whether through higher charges on licensing and other government controlled paperwork, or through confiscation of pension funds, or by cutting entitlement programs like social security completely. 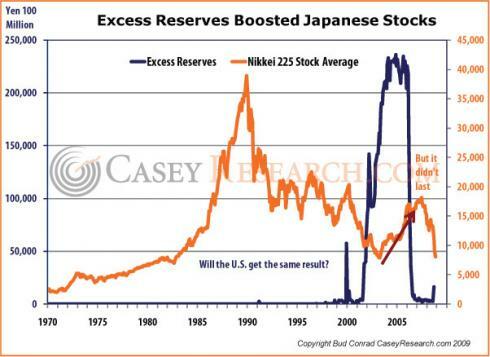 Finally, the dollar’s world reserve status is most assuredly going to be placed in jeopardy. If a country is unable to sustain its own liabilities, then its currency is going to lose favor. Period. The loss of reserve status carries with it a plethora of very disturbing consequences, foremost being devaluation leading to extreme inflation. If the debt ceiling is raised yet again, we may prolong the above mentioned problems for a short time, but, there are no guarantees. Ratings agency S&P in a recent statement warned of a U.S. credit downgrade REGARDLESS of whether the ceiling was raised or not, if America’s overall economic situation did not soon improve. The Obama Administration has resorted to harassing (or pretending to harass) S&P over its accurate assessment of the situation, rather than working to solve the dilemma. Ratings company Egan-Jones has already cut America’s credit rating from AAA to AA+. Many countries are moving to distance themselves from the U.S. dollar. China’s bilateral trade agreement with Russia last year completely cuts out the use of the greenback, and China is also exploring a “barter deal” with Iran, completely removing the need for dollars in the purchase of Iranian oil (which also helps in bypassing U.S. sanctions). So, even with increased spending room, we will still see effects similar to default, not to mention, even more fiat printing by the Fed, higher probability of another QE announcement, and higher inflation all around. This period of debate over the debt ceiling is liable to be the last clear warning we will receive from government before the collapse moves towards endgame. All of the sordid conundrums listed above are triggers for skyrocketing gold and silver prices, and anyone not holding precious metals now should make changes over the course of the next month.